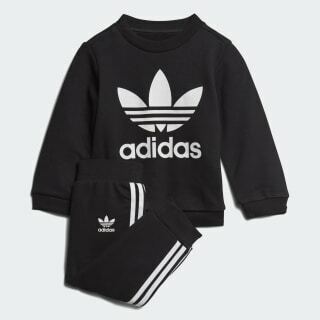 A toddlers' set with iconic adidas styling. They're never too young for bold sporty style. 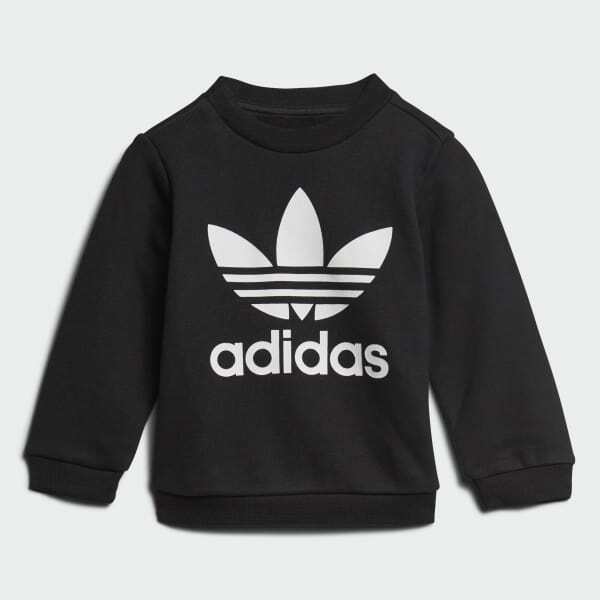 This toddlers' set delivers a classic adidas look inspired by men's designs. Made in a cozy cotton blend, it boasts an oversize Trefoil logo on the front of the crewneck sweatshirt, while signature 3-Stripes down each leg finish the authentic look.